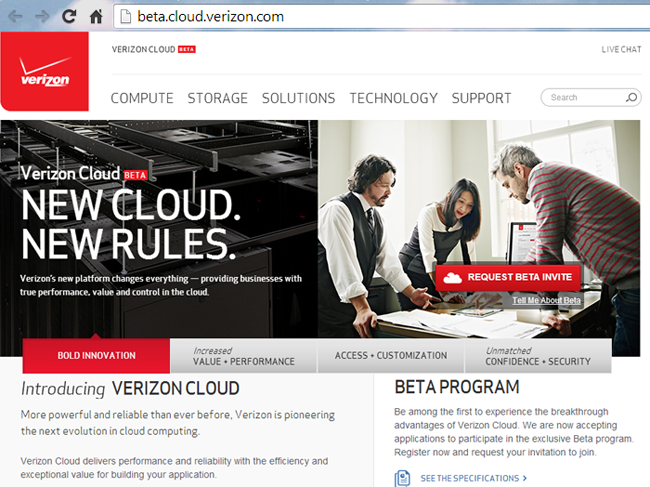 Verizon introduced its new cloud Infrastructure as a Service (IaaS) platform and cloud-based object storage service, saying its ambition is to fundamentally change how public clouds are built so that large enterprises, mid-size companies and small development shops can get the agility and economic benefit of a generic public cloud along with the reliability and scale of an enterprise-level service. Significantly, Verizon Cloud can leverage the company’s global IP network, managed security services and global data centers, including the facilities and expertise of its Verizon Terremark division. Verizon Cloud has two main components: Cloud Compute and Cloud Storage. Verizon Cloud Compute enables users to create and deploy virtual machines in seconds. Users pay for only what they need and can determine and set virtual machine and network performance, providing predictable performance for mission critical applications even during peak times. Additionally, users can configure storage performance and attach storage to multiple virtual machines. Previously, services had pre-set configurations for size (e.g. small, medium, large) and performance, with little flexibility regarding virtual machine and network performance and storage configuration. No other cloud offering provides this level of control. Payment can be made via credit card or purchase orders on file. Verizon Cloud Storage is an object-addressable, multitenant storage platform providing safe, durable, reliable and cost-effective storage accessible from anywhere on the Web. The company said its service overcomes latency issues that have plagued many traditional storage offerings, providing improved performance. In 2011, Verizon Communications acquired Terremark, a global provider of managed IT infrastructure and cloud services, for approximately $1.4 billion. At the time of the acquisition, Terremark, which is headquartered in Miami, operated 13 data centers in the U.S., Europe and Latin America (Miami, Dallas, Wash. D.C., Santa Clara, Bogota, Sao Paolo, Santo Domingo, Amsterdam, Brussels, Madrid and Istambul). Prior to the deal, Verizon operated more than 220 data centers across 23 countries, including 19 premium centers and five smart centers. 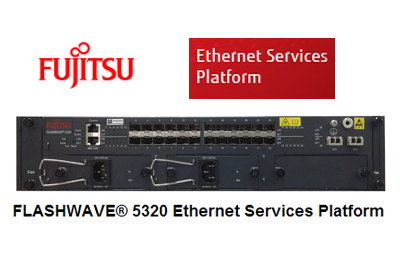 Fujitsu continues to expand its Ethernet Services Platform with the introduction of FLASHWAVE 5310 and FLASHWAVE 5320 systems designed for low-cost delivery of Ethernet Private Line (EPL), Ethernet Virtual Private Line (EVPL) and Ethernet LAN-based services for business and mobile backhaul applications. Fujitsu said its new Ethernet Services Platforms are engineered to deliver an affordable and seamless path for high performance, standards-based Carrier Ethernet service into metro, enterprise and mobile networks. The FLASHWAVE 5310 Ethernet Services Platform is a compact, multiservice, carrier-grade system that delivers both Ethernet and TDM-based connectivity. Its small form factor, temperature resilience, and low power consumption make it suitable for installation at wireless towers or customer premises. It features integrated support for both Ethernet and TDM via emulation of T1/E1 and SONET/SDH channelized OC-3/STM-1 circuits. The FLASHWAVE 5310 product provides Ethernet service scalability from 1Mbps to 1Gbps, and 1-16 T1-E1s. It also features dedicated hardware for traffic performance monitoring and for MAC address swapping. The FLASHWAVE 5320 platform delivers Carrier Ethernet aggregation through the access network directly to customer premises. It can be used for extending Ethernet, IP and cloud services to metro areas such as business parks, multi-tenant buildings, cell towers and Wi-Fi hotspots. The FLASHWAVE 5320 product provides 24xSFP and 2xXFP ports with MEF-standards based Carrier Ethernet service scalability from 1MBps to 10Gbps with highly reliable service delivery and G.8032 sub 50ms ring protection. It also features dedicated hardware for traffic performance monitoring. Nokia Solutions and Networks introduced its NetAct 8, a virtualized, single Operations Support System (OSS) for managing radio, core and transport networks. It provides off-the-shelf management of Network Function Virtualization, simplifying network operations and reducing operational expenses. The company said its NetAct 8 is able to provide a single, end-to-end view of multi-technology, multi-domain and multi-vendor networks. NetAct 8'd interface shows real-time performance information and powerful alarm correlation to reduce growing operational complexity. Virtualization enables NetAct 8 to deliver very high availability independent of any single hardware platform. Furthermore, future upgrades can be done almost instantly. A single OSS provides unique operational benefits. For example, integrated radio and transport configuration management simplifies the creation of VPN-secured connections between the LTE base station and the Core network. With these insights, operators can prioritize fixes with the highest impact. A positive customer experience results in more revenue and happier customers, with fewer calls to the customer care center. The productized integration of SQM and CEM on Demand also enables faster deployment of customer-centric service operations. Also new are an off-the-shelf integration of Customer Experience Management (CEM) and Service Quality Management (SQM) products as well as a Service Fulfillment Introduction Pack. While SQM proactively identifies the occurrence and causes of service quality degradation, CEM on Demand shows the impact on the individual customer experience. 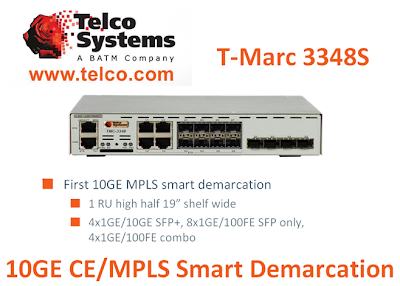 Telco Systems introduced a 10GE demarcation Ethernet/MPLS network interface device (NID) – a leap forward in 10GE Carrier Ethernet and MPLS service delivery for service providers and mobile operators. The product boasts 4 x 10GE plus 12 x 1GE ports with a total of 52GE capacity, in a 1RU, half rack width form factor. Telco Systems said its ultra‐compact design is the densest and most cost effective 10GE demarcation device in the Carrier Ethernet market. Significantly, it offers per-port support for both Carrier Ethernet and IP/MPLS transport at no additional licensing cost. Hardware‐based OAM and embedded test tools (RFC2544, Y.1564) to assure service delivery. IP/MPLS built into the product and license free. A10 Networks, which specializes in the Application Delivery Controller (ADC) solutions, raised $115 million in new capital through an equity financing and a committed revolving credit facility. Summit Partners, a leading global growth equity firm, led the round with an $80 million equity investment. An additional $35 million revolving credit facility was obtained through Bank of America Merrill Lynch, J.P. Morgan and RBC Capital Markets. "We are proud of the investment and the underlying vote of confidence from several of North America's largest and most prestigious financial institutions," said Lee Chen, Founder and CEO for A10 Networks. "With this investment, A10 will continue to extend its technology leadership and expand its market penetration with innovative solutions to help customers accelerate, optimize and secure websites and applications." A10 noted that its most fiscal recent quarter produced record revenues. "A10 has an enormous market opportunity with the rapid growth of cloud applications and online devices," said Greg Straughn, CFO of A10 Networks. "Our strong execution and rapid growth have enabled A10 Networks to raise a considerable amount of capital from leading financial institutions. With the additional capital, we will continue to invest in R&D, Customer Support, Sales and Marketing, as well as continue to grow our global workforce well beyond our current 600 employees, key elements for extending our history of strong revenue growth." A10 Networks is headquartered in Silicon Valley. 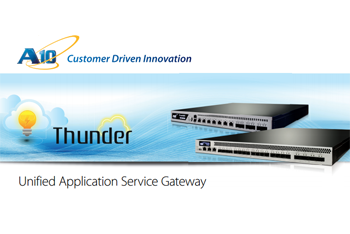 In July 2013, A10 Networks announced its new entry-level A10 Thunder Series, extending its family of Unified Application Service Gateways (UASGs) to small/medium business and enterprise customers. The 1-RU appliance delivers Application Delivery Controller (ADC) and Server Load Balancing (SLB) functionality for optimization and acceleration, full Layer 4-7 support, scalability and availability. Additional advanced modules include Global Server Load Balancing (GSLB) and Application Delivery Partitions (ADPs) for multi-tenancy through virtualization to enable more applications and more services. It also integrates home-grown services including a Web Application Firewall (WAF) for website protection, DNS Application Firewall (DAF) for DNS infrastructure protection, Distributed Denial of Service (DDoS) protection for next-generation attack mitigation, SSL Intercept (SI) to inspect encrypted traffic and Application Access Management (AAM) for pre-authentication. The A10 Thunder 930 – Entry-level UASG supports 200,000 connections per second (CPS), 5 Gbps of application throughput, and up to 16 million concurrent sessions. In January 2013, A U.S. court in San Jose, California confirmed a $60 million damages verdict against A10 Networks and entered an order permanently enjoining A10 from infringing on Brocade's patents involving technologies for Global Server Load Balancing and High Availability. The Court enjoined A10 from "making, using, selling, or offering to sell in the United States, or importing into the United States any AX series application delivery controller that includes features that infringe" on these asserted claims. Last August, a jury found for Brocade on four claims of patent infringement involving technologies for Global Server Load Balancing and High Availability and found that the A10 AX Series line of load balancers infringe on these specific patents. Digital Realty Trust announced a $369 million joint venture with an investment fund managed by Prudential Real Estate Investors ("PREI"), the real estate investment management and advisory business of Prudential Financial. 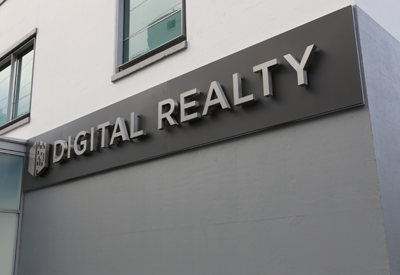 Digital Realty seeded the joint venture with nine data centers totaling 1.06 million square feet and valued at approximately $366.4 million (excluding $2.8 million of closing costs), or $346 per square foot. The properties are expected to generate cash net operating income of approximately $24.5 million in 2013, representing a 6.7% cap rate. The properties are 100% leased, with an average remaining lease term of approximately nine years. The PREI-managed fund will take an 80% interest in the joint venture and Digital Realty will retain a 20% interest. The joint venture is structured to provide a current annual preferred return from cash flow to the PREI-managed interest, while Digital Realty will receive fees and a promote participation for managing the properties. "The long lease terms and contractual rental rate increases on these Powered Base Building data centers provide a stable rental income stream that represents a good fit with our investment objectives," noted Cathy Marcus, managing director at PREI and senior portfolio manager of the firm's core U.S. real estate strategy. "These institutional quality properties are fully leased to a diversified roster of credit tenants, and we look forward to realizing a stable return on this portfolio over the course of a long-term relationship with Digital Realty." Franco Bernabè has resigned as Chairman and CEO of Telecom Italia. His responsibilities are being taken over by Marco Patuano, who currently serves as COO, while the company decides on a new Chairman. Telecom Italia's Board of Directors also approved a severance package of EUR 3.7 million for Bernabè. Ericsson is adding Voice over LTE (VoLTE) and Rich Communication Service (RCS) verification services to the scope of operations at its Experience Lab in Taiwan. 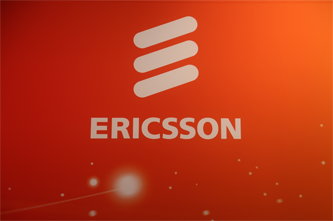 Ericsson’s Taiwan lab has served partners in Taiwan, the United States, Europe, China, Japan, South Korea and more, since its founding in 2005. It is one of six global Ericsson Experience Labs; the others are located in the United States, Canada, Germany, India and Sweden. Alongside the new VoLTE and RCS verification services, the Taiwan lab also tests 2G (GSM), 3G (WCDMA) and 4G (LTE FDD/TDD) technologies for voice, data and other related services.